So, 2018 is here and that means looking over my shoulder at 2017 and some of the brands and the products that made my heart beat a little faster. 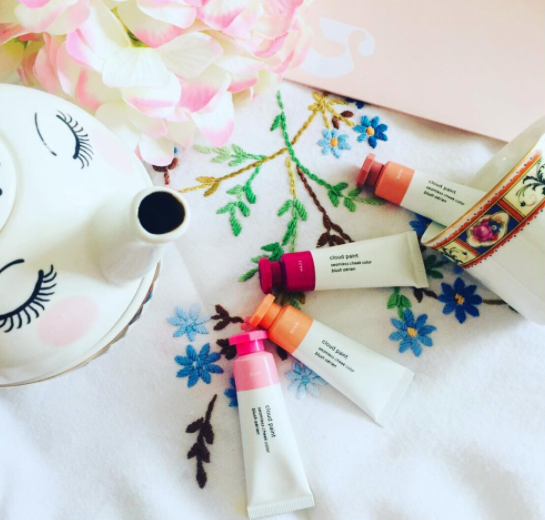 Glossier was probably one of the most highly anticipated launches to land in the UK, I think so many of us beauty obsessives had watched hauls from bloggers who'd flown over the pond and envied the pink plastic pouches containing simply packaged, yet gloriously colourful products. 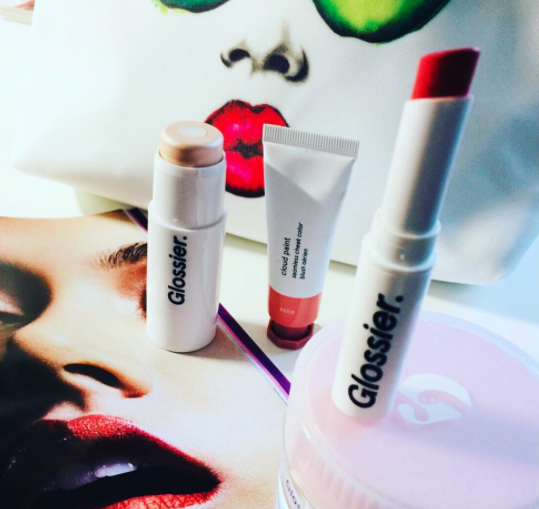 Glossier did not disappoint, the colour payback, the consistencies of products were so flattering and very natural. The stretch concealer effortlessly hid my dark circles with it's pigmented, glossy texture. The Cloud Paints enlivened my cheeks, given a natural refreshed look on my face, each of the four shades working to give a different, yet, subtle hue to the face. Boy Brow was the product I felt would be the over-hyped one, I was wrong, the tiny wand, the texture of the brows, when it is applied, gives definition and depth. Haloscope is the product that gives that dewy glow to the highpoints of the cheeks, it highlights without shimmer, so stunning and very flattering. Generation G is Glossier's rather simple lipstick, nice soft colour application, however, the packaging lets this product down, I have two and both bullets were loose in their case and finally both dislodged entirely, not great, when the product itself is very good and the colour feels lightweight on the lips and gives a nice finish. The lip balms in the guise of balm.com come in flavours and colours, I have the original, which can be used on lips, elbows, dry knees and heals as it is colourless and flavourless. Cherry is a sweet delight, with a hint of red and a taste that makes me lick my lips. Birthday Cake is vanilla sweet and glittery, I find it too sweet at times, I have the Coconut on my list to try. Glossier was one of my ultimate favourites of the year, I have continued to buy from the website and dipped my toe into the skincare on offer, more to come on that. My G list grows, fragrance and the new exfoliator, launching soon, are definitely of interest. If you are tempted to start the New Year trying some of the range, use this link to get 10% off, if used, this code will give me £10 store credit, so, thank you if you do use it. More favourites to follow throughout the month of January.